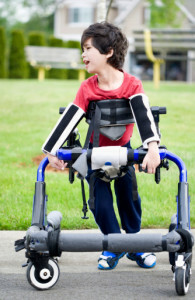 Cerebral palsy is a group of conditions that involve problems controlling the muscles. Cerebral palsy comes in all levels of severity and some sufferers are essentially unable to perform any physical activities on their own and suffer severe mental impairments, as well. Others, however, can benefit substantially from various types of physical therapy and, as is the case with all modern medicine, treatment options are steadily increasing in number in this regard. Physical therapy provides a way to help people with CP strengthen their muscles, get better control over them and to live a richer life, because of being able to enjoy more independence. Physical therapists need to be licensed and trained. These are medical professionals with vast knowledge of anatomy. If you’re receiving physical therapy for your own CP or are bringing in a child or family member, the program will be tailored to the individual’s needs, so there will be some variation in the therapies given. According to some research the types of physical therapy that benefit CP sufferers the most are those that involve the person’s entire life. These include more intensive programs that allow them to use training, devices and changes to their lifestyle to achieve better control over their bodies. There is also evidence that physical therapy benefits CP sufferers in a range of ways beyond what would be expected. Cognitive function, for instance, has been shown to improve for some individuals with cerebral palsy when they engage in active physical therapy. This is, perhaps, not too surprising, since regular exercise has been shown to help healthy individuals mentally, as well. Physical therapists will use different strategies to provide different benefits. Some of what they do will depend upon the age of the child in question. For instance, in their early ears, even young children can do exercises that help them to learn to calm their muscles down, to keep their balance better and to adjust their positions. As they age, the therapy can become more advanced. Walking is a big area where physical therapists offer assistance, for obvious reasons. Some forms of cerebral palsy—ataxic, for instance—are more well-known for having effects on a child’s ability to walk than others. Physical therapists can help children to develop coordination, muscle strength and balance that can help them walk better and, perhaps, transition from a wheelchair to crutches to a walker, if they do very well. Adults oftentimes keep up with physical therapy to help with their CP symptoms. Regular exercise that is customized for the patient is very useful here. With physical therapy, entirely new opportunities can be opened for people who suffer with CP.